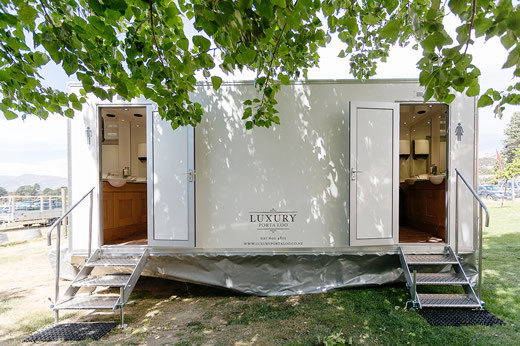 We understand you have a lot of planning to do for your Wanaka Wedding day, so we want to make choosing the right toilet for your wedding, as easy possible, by offering the superior range of luxury super stylish portaloo units to match whatever your vision is for your big day. Luxury Portaloo have the latest top of the line model luxury portaloo toilet with a 5-star contemporary interior to match. The fresh spotlessly clean look and feel is exactly what you’d expect at your wedding or special event. The toilets are self-contained - all that’s needed is a power supply. They come fully stocked with toilet tissue, hand towels, luxury soap, hand moisturiser, hot water to each vanity and Internal heating in each section. 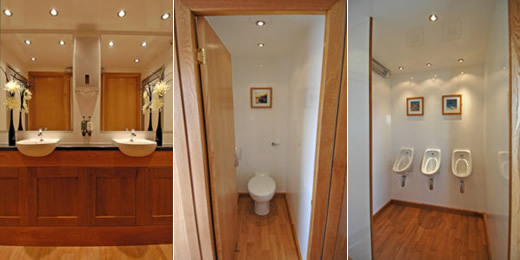 Our luxury portaloos are capable of handling a large number of guests and are perfectly suited for remote locations.